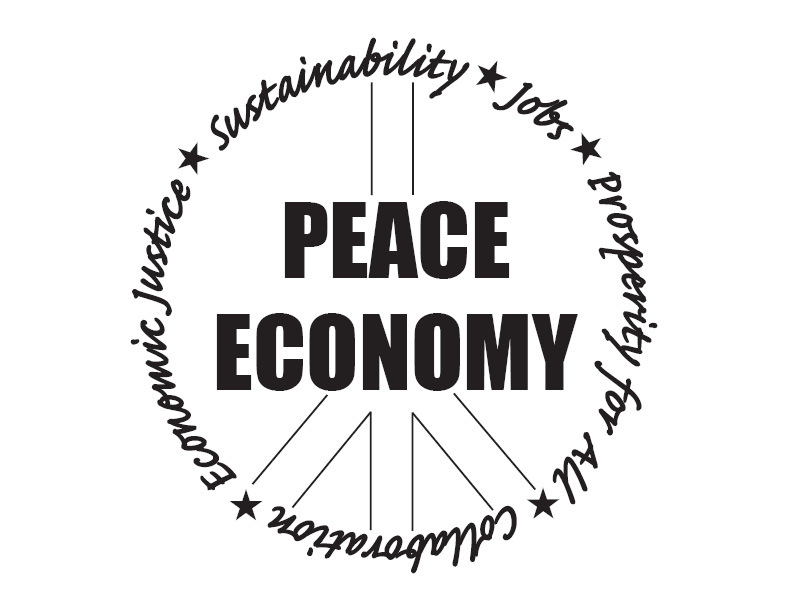 Peaceworks: Prosperity, Not Austerity--Peace Economy Campaign Kicks into Higher Gear. Prosperity, Not Austerity--Peace Economy Campaign Kicks into Higher Gear. Peaceworks is gearing up our "2012, Year of the Peace Economy" campaign, reaching out to our fellow citizens with a major push to raise concerns both on Tax Day and Earth Day. We aim to enhance the public's understanding of what a Peace Economy is and why redirecting and restructuring our economy is essential to our economic recovery and future prosperity. In tandem, we are pressing for a rejection of the largely bipartisan push for austerity. Rather, we favor adequate, progressive taxation and full funding of programs that benefit and invest in our people, as well as infrastructure investments. Making deep cuts in the bloated Pentagon budget, ensuring we are spending for our defense, not for global hegemony, and targeting spending to where it does the most good, we can move forward to build a strong, full-employment Peace Economy. Want to learn more? We encourage you to CLICK HERE to download a copy of our new Peace Economy leaflet. Feel free, even encouraged, to print copies of this to share with friends. If you need a quantity, feel free to contact us, and we can supply you. We also have, thanks to the work of our very talented Graphic Design Coordinator, Kim Dill, produced a five-panel (each 11" x 17") Peace Economy display for use at events. We are also posting this where you can access it. Just CLICK HERE to get to a PDF including all five panels. Anyone who shares our Peace Economy goals and would like to display this is most welcome to print copies and use them in outreach efforts. 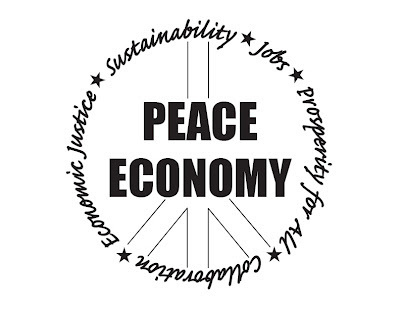 If you'd like to get more involved in our Peace Economy advocacy, we invite your participation. Contact us by phone at 573-875-0539 or write us at mail@midmopeaceworks.org.